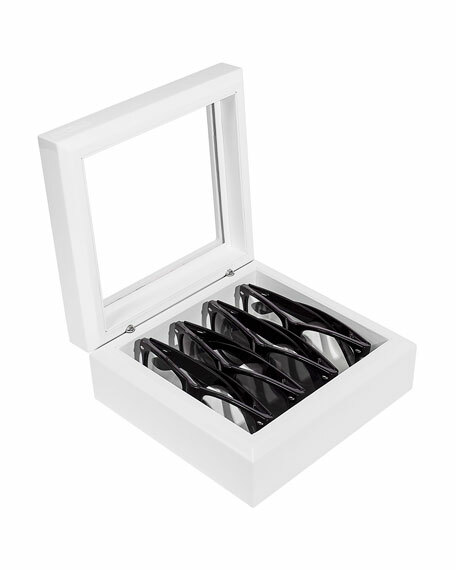 OYOBox mini eyeglass and sunglasses organizer, handcrafted with seven layers of lacquer. 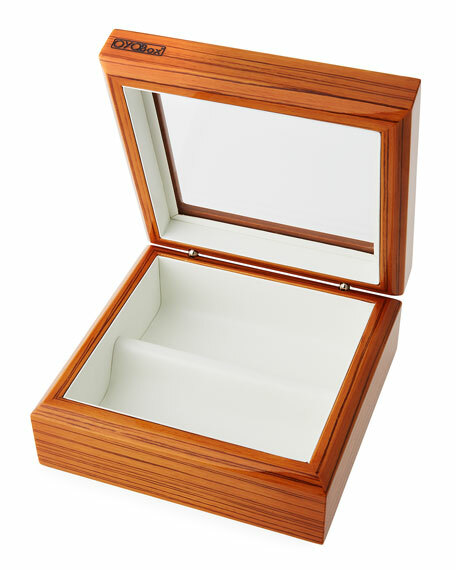 Made out of durable compressed wood; stainless steel hinges. Creamy leatherette interior and soft velvet underside. Includes universal sunglasses pouch, clean cloth, and reusable OYOBox carrying tote. Holds up to four pairs of glasses. 7.75"L x 7.5"W x 3.25"D.
Please note: Glasses are not included with the case. Ermenegildo Zegna pouch case fits up to iPhone?? Plus. Zip top closure; three credit card pockets. Exterior, two slip pockets. Ermenegildo Zegna pouch case fits up to iPhone?? Plus. Zip top closure; three credit card pockets. Exterior, two slip pockets. Signature woven calf leather. Made in Greece. Ermenegildo Zegna shoehorn. Signature woven leather travel case. Made in Greece. Montblanc man clutch in Italian split calfskin. Exterior, open pocket. Zip top closure. Single wristlet strap. Interior, jacquard lining. OYOBox eyeglass and sunglasses organizer handcrafted with seven layers of lacquer. Made out of durable compressed wood; stainless steel hinges. 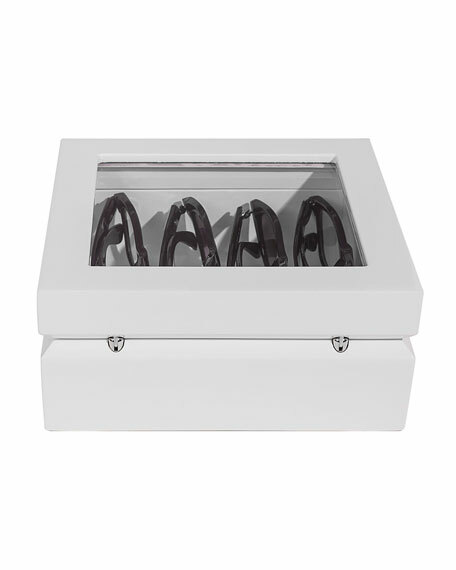 OYOBox eyeglass and sunglasses organizer handcrafted with seven layers of lacquer. Made out of durable compressed wood; stainless steel hinges. Shatterproof top window. Creamy leatherette interior and soft velvet underside. Includes universal sunglasses pouch, clean cloth, and reusable OYOBox carrying tote. 7.3"W x 7.5"H x 3.25"D. Imported.